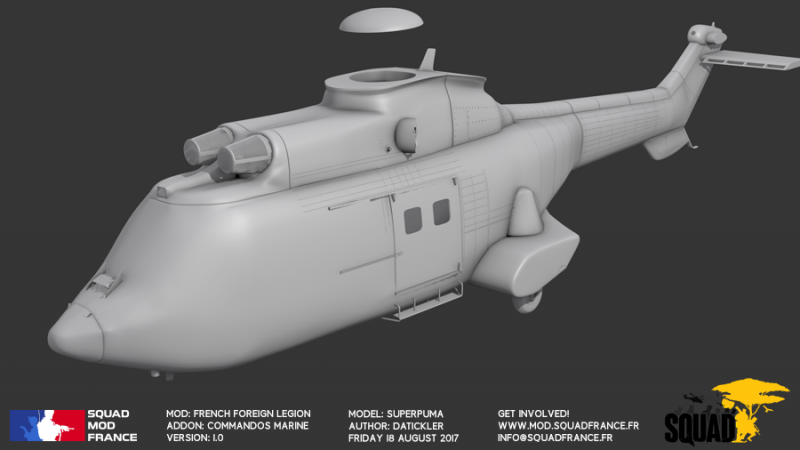 HomeRecent UpdatesModsArmyWork in Progress # 7 | Helicopter? Yes! 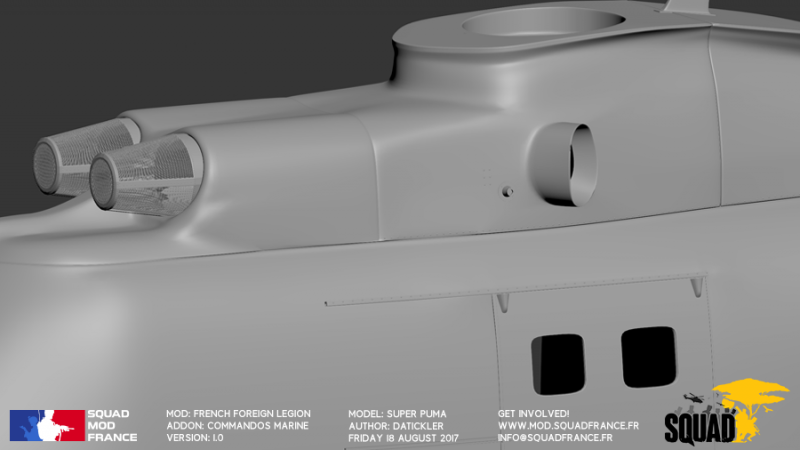 Work in Progress # 7 | Helicopter? Yes! We’ve polished up the format in which we share progress. It’s a bit more professional, and we love giving artists credit for their work. Please get hype for today’s reveal. That teaser image above? You’ll find more at the end of this post – but don’t skip all the way to the bottom without missing previews of other content! 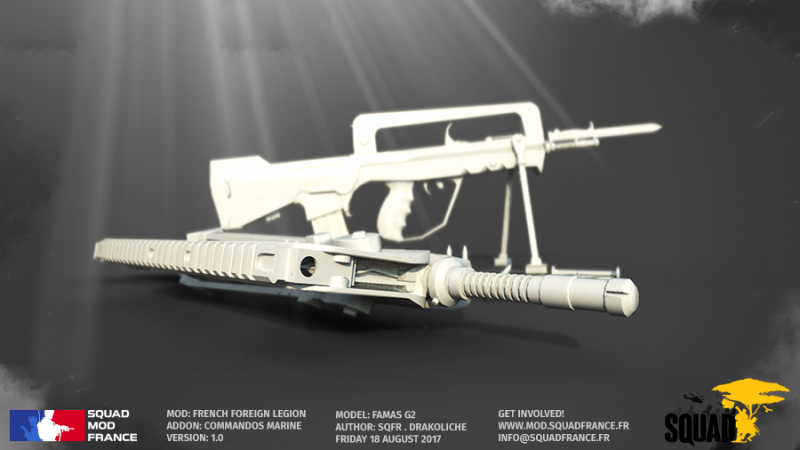 The FAMAS is quite a modular weapon system, and we intend to demonstrate this quality. 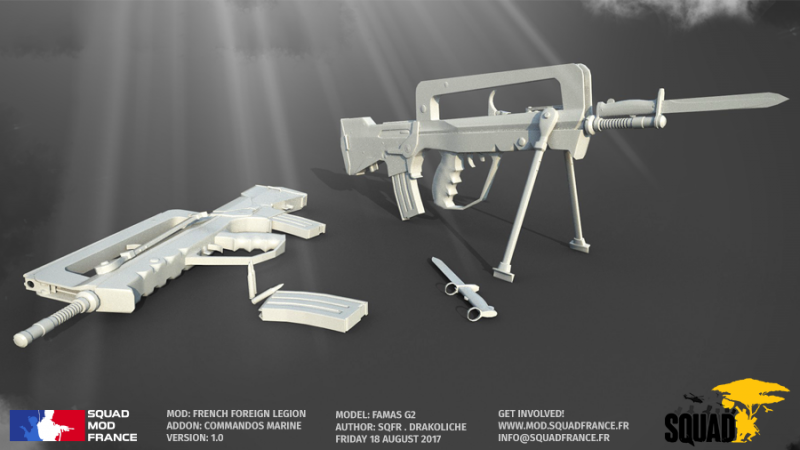 Here are renders of the @Drakoliche’s FAMAS with bayonet attached. The grenade launcher (not pictured) will be even more impressive. 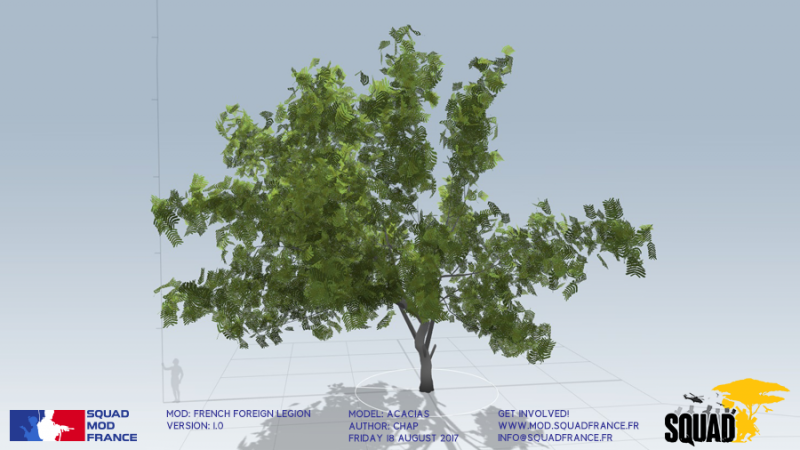 Vanilla Squad’s arid-climate maps feature foliage that wouldn’t appear naturally in Saharan Africa. 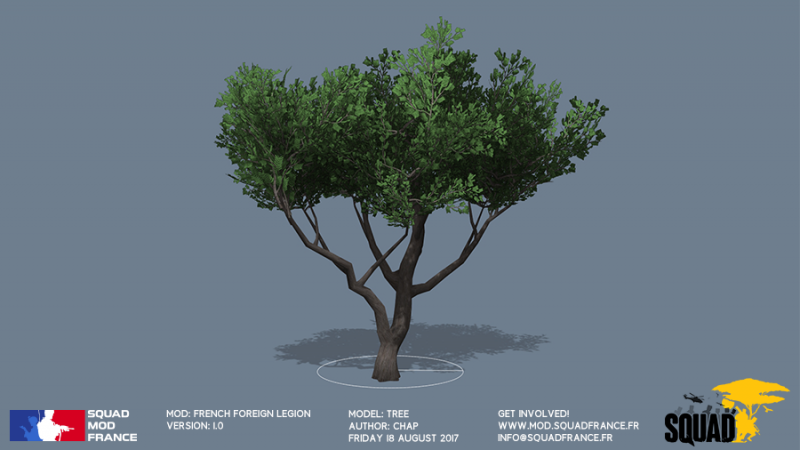 Naturally, we’re producing new foliage assets for our map set in Mali. 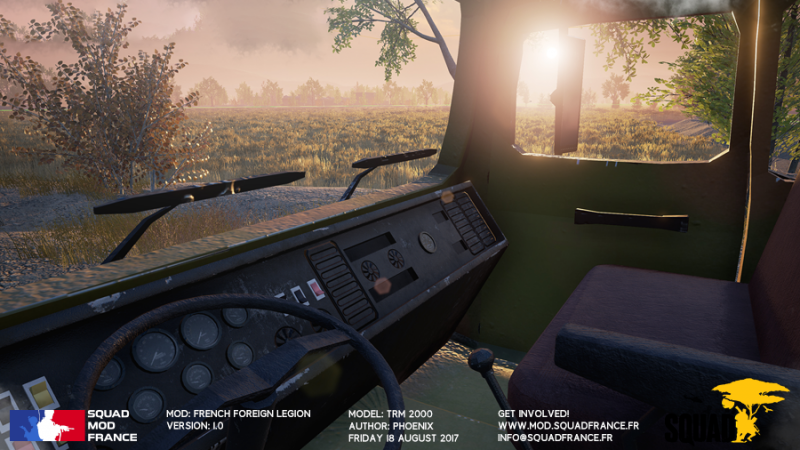 Here’s a cool first-person preview of the Renault TRM 2000 light utility truck. On the right is some textured detail of the underbelly. 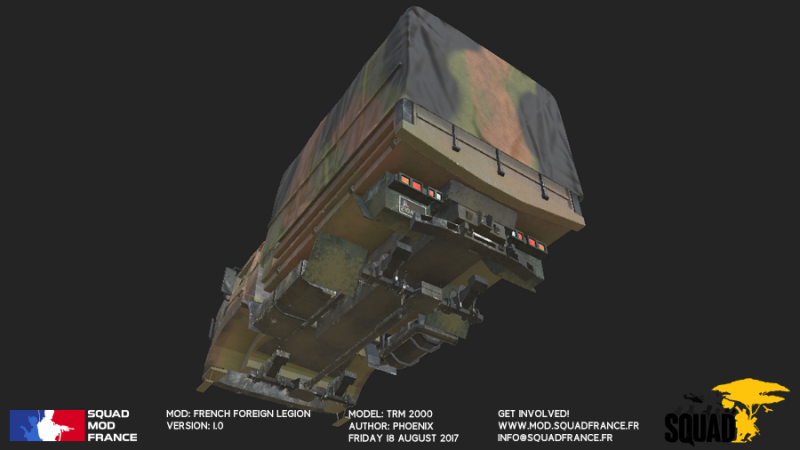 @Titoonet92 is working on props for the French military outposts. 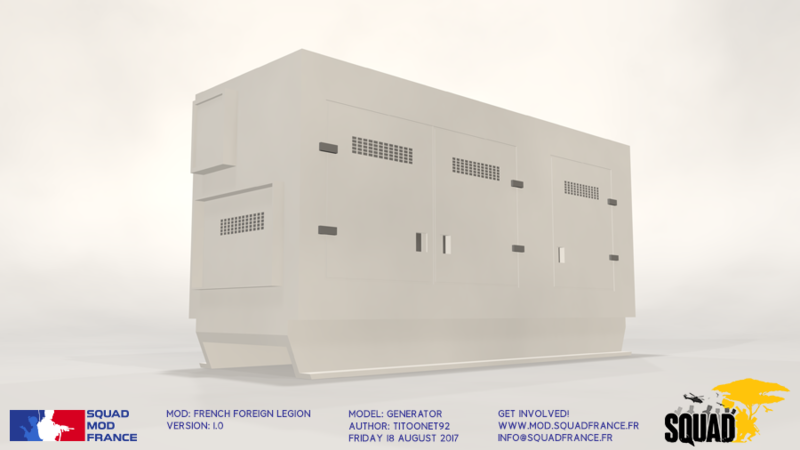 Here’s an untextured render of a large generator. 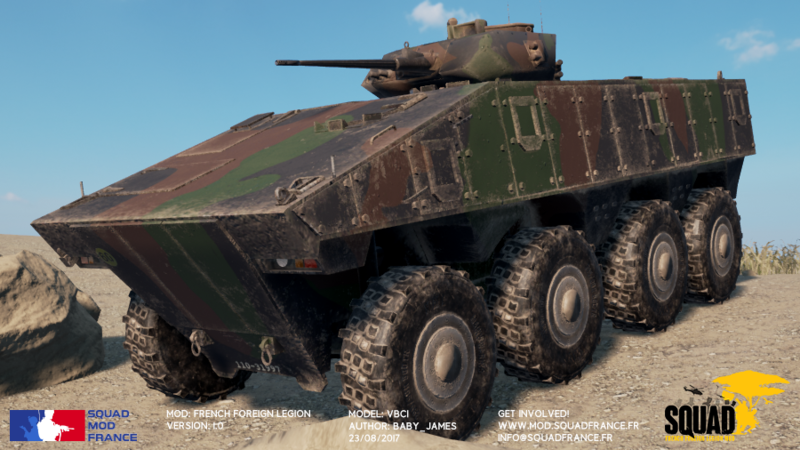 We want to make the French bases and observation posts feel authentic and believable, which means lots of clutter in the form of logistics and various military equipment. 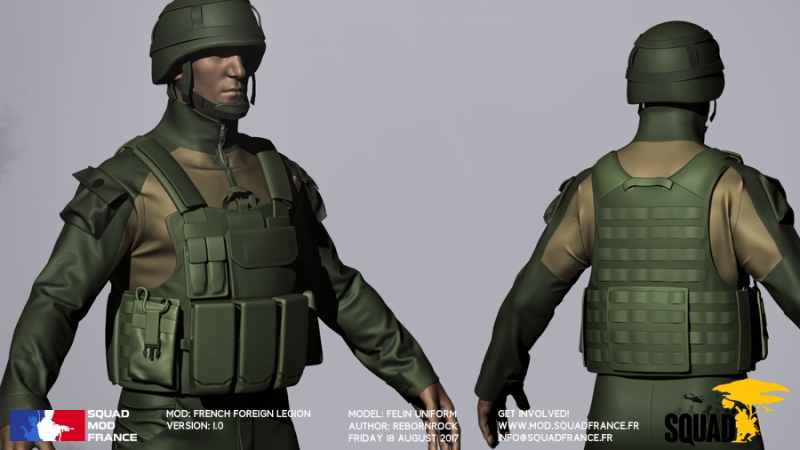 On the left, you’ll find that our Legionnaire has been equipped with a new modular plate carrier, fitted with magazine and utility pouches. 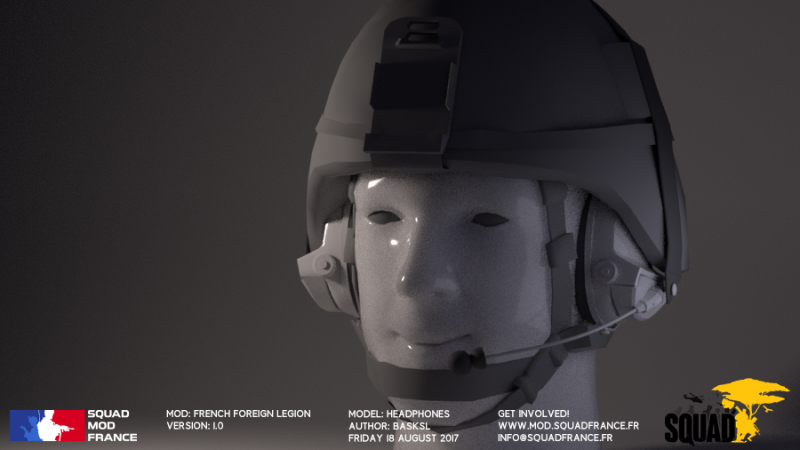 On the right is a rendering of @Baskl’s ear protection/communication system, which fits snug under the Legionnaire’s helmet. 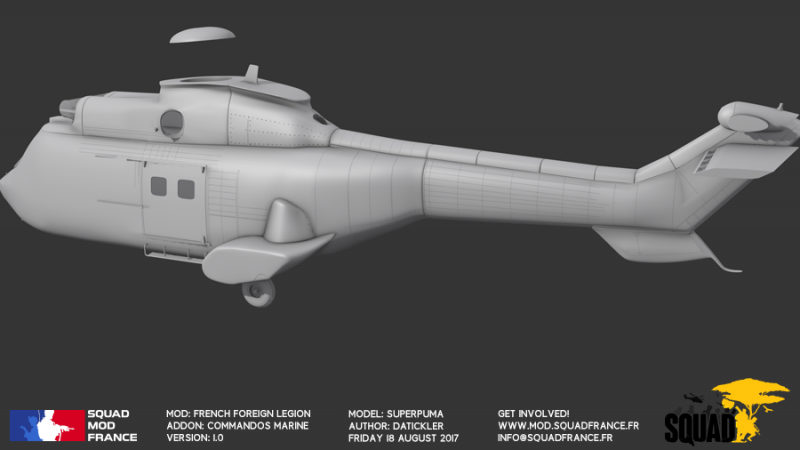 Here’s @DaTickler’s WIP model of the Eurocopter AS332 Super Puma medium utility helicopter. Other modders have already successfully demonstrated functioning aircraft in Squad. Once our Mali map is of a certain scale, air travel will be a tactical necessity for OPFOR insertion. We’re super excited for this. Thanks for stopping by. Look out for more previews of weapon systems, map assets, and overall map progress.